Alaskans were outraged after a group of oil companies based in Texas went bankrupt and stuck them with the bill. The name Buccaneer is equivalent to dirt in some corners of Southcentral Alaska. While drilling for oil and gas in Cook Inlet two years ago, a Buccaneer Energy subsidiary was ruined in a corporate bankruptcy. They left behind dozens of businesses that want their money. “Everything was fine to the end. They filed bankruptcy and still owed us about eight grand,” Lloyd Moore said. 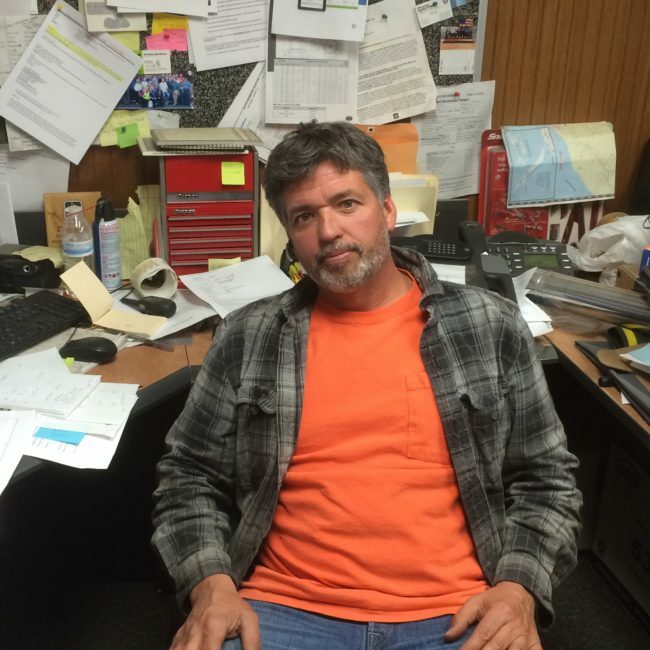 Lloyd Moore owns Moore & Moore Services, a garbage collection company based in Homer. He leapt at the chance to work for Buccaneer. 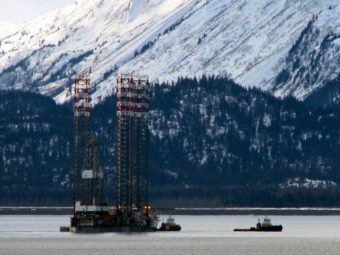 The company brought a jackup rig into the Homer Port and they were contracting out work up and down the Kenai Peninsula. “We were supplying a portable restroom service to them out on the deep-water dock, also dumpsters and hand wash stations for them,” Moore said. He said the trustee of Buccaneer’s estate sent him a letter demanding he give back about $70,000 of what Buccaneer did pay him. The trustee’s demand is backed up by tax law most people don’t even know about. It lets the trustee collect money paid by Buccaneer up to 90 days before its bankruptcy so the money can be shared with other people the company owes. If Moore pays up he may never see his money again. “Right now, I’m standing by my principles that it’s wrong. I should have tried to work a settlement like the city of Homer,” Moore said. The city of Homer earned thousands by mooring Buccaneer’s jackup rig in the Homer Port. It ended up paying back almost $9,000 to Buccaneer’s trustee, about half the original amount demanded. Homer officials and a lot of business owners like Moore feel cheated by Buccaneer and they’re angry. Some said they expected a company that was vetted by the state and received state tax credits to be safe to do business with. That anger is why Rep. Paul Seaton of Homer suggested the legislature find a way to protect Alaska businesses from another Buccaneer. He wants oil companies to setup surety bonds. They’re like insurance policies for business deals. “The state would require when somebody got an oil and gas license in Alaska that they would either have to post $250,000 cash or they would have to get, basically an insurance policy for $250,000 that said they’ll pay their bills to unsecured creditors,” Seaton said. Unsecured creditors loan money or services on good faith. “What generally happens in a bankruptcy is the secured creditors want to get all the money. And so they have priority,” Seaton said. Buccaneer has debt across the globe. The bankruptcy signaled the start of a race between creditors to get as much as they can and unsecured creditors are at the back of the line. Money taken from Moore could be paid to someone as far away as Australia. Surety bonds are supposed to be a safety net for the future. Seaton said the bonds are going to be setup to pay small business owners first, but Moore said $250,000 won’t make a dent. “It is not enough money. Again, like I said, it wouldn’t even cover Port Graham. And Port Graham is just one of probably hundreds of unsecured creditors in the local area and on the Kenai Peninsula,” Moore said. Port Graham Corp. was created by the Alaska Native Claims Settlement Act to serve the Sugpiaq people on the Kenai Peninsula. Moore said the real problem is in the bankruptcy law that allows lawyers to shakedown businesses for cash. He wants changes made on the federal level. “Or they’re going to have to have $10 million or $100 million bond before it’s really going to help make sure everybody gets paid,” Moore said. Rep. Seaton said $250,000 would have taken care of a number of Homer’s businesses, but he admitted the number was a compromise to get something through the legislature. “This was I think a good provision. If you get it up too high then you get resistance from people, saying well people have to post half a million dollars or get this other insurance policy. So anyway, yeah, it’s a balancing act to try and protect smaller businesses but it’s not going to cover everything,” Seaton said. He said people need to be aware of who they’re doing business with and protect themselves. The surety bond rule is included in the oil and gas tax credits reform bill the legislature sent to the governor. After his Buccaneer experience, Moore is wary of the industry. 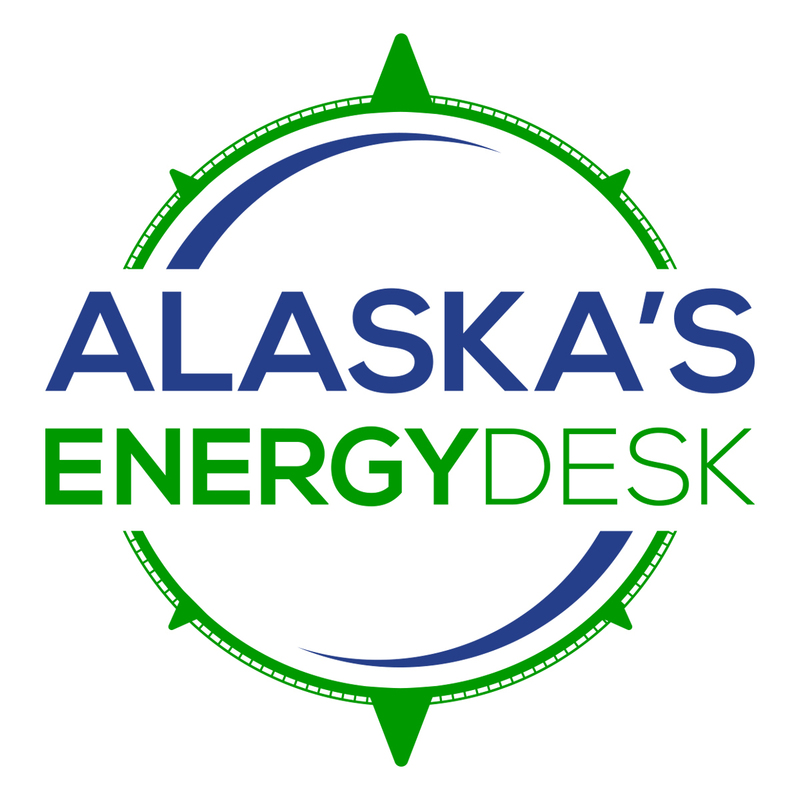 But that didn’t stop him from signing up to work with BlueCrest Energy, another oil company drilling in Cook Inlet to the north of Homer and Anchor Point. He said if he wants to grow his business he can’t turn down the money players like BlueCrest are willing to pay.